Do you have spreadsheets that create risk? Schedule a call with our spreadsheet guru and senior actuary. Salt Solutions is a professional services company that helps organizations improve performance through actuarial insight and custom technology solutions. With more than 19 years experience, we offer consulting and custom software development. The bottom line is to decrease time spent on the mechanics of producing results, leaving more time for analysis and “what if” scenarios. We import data from modeling, accounting and other sources to calculate the DAC and other modeling requirements. Our process automates and performs the complicated calculations in a controlled and secure environment that is customized to your individual needs. It also introduces read-only, processing, and administrative permissions along with safe multi-user access. We are passionate about improving accuracy and efficiency for fellow actuaries by developing customized technology solutions. Contact Us We're eager to learn about your specific needs and look forward to exploring long-term solutions with you. Challenge: The client needed SOX controls for their back end valuation process. Several actuaries created back end spreadsheets that did not have controls and were not consistent. As a result, staff training and turnover was difficult and time consuming. Also, the valuation actuary struggled to become comfortable with each individuals spreadsheet process since they were all independent. Solution: Salt Solutions delivered a custom-configured relational database system to replace the existing spreadsheet process. The solution provided the client with the accuracy, efficiency, and control required along with an intuitive user interface and a clear audit trail to satisfy current and future regulatory demands. Results: The back end valuation process was successfully automated for the client, enabling the actuarial staff to invest more time in analysis instead of toiling with the mechanics of producing the results. All staff members used the same process making it easier to transition staff. Challenge: The client needed to consolidate their DAC calculation for fixed and variable annuities. Their current process involved running many macros and linked spreadsheets. The fixed and variable spreadsheet processes were very different. Solution: Salt Solutions delivered a custom-configured, role-focused relational database system to replace the existing spreadsheet process. The solution provided the client with the sophisticated formula calculations to reproduce or improve upon their DAC calculation. Input data was provided from modeling, accounting, and experience studies. Different roles are assigned based upon administrative, read/write, or read-only access. Results: The back end modeling process is currently in the final stages of development for the client. We estimate that the processing time will be reduced to 1/3 or 1/2 of the previous processing time. Controls are being implemented to meet SOX compliance. The fixed and variable formulas are now in sync and combined. Staff transition has begun with new actuaries replacing the actuaries that were involved in the initial implementation. The new platform provides a systematic and structured process for new staff to be trained. Challenge: The client needed a production system to calculate commissions on a daily basis based upon a complicated commission schedule. Solution: Salt Solutions delivered a system that automated the commission calculation. Formulas for the commission calculation were parameters into the system. Thus, as the commission schedule changed, the user could modify the parameters without requiring any programming change. Results: Commissions are calculated on a daily basis in production mode. The client has not had a need to require Salt to modify the system since it’s installation in 2011. SALT Solutions has teamed up with CPS to develop a life and annuity illustration system for the Royal Arcanum. Upgrades are provided annually for the user. If you have version 2.2.0.1 or greater, please install the patch in order to update the software for 2014 by using the following link. If you have version 2.2.0.0 or earlier, then you will need to uninstall it first and then install the latest version using the above “Download the Complete Install” link. If you are having trouble installing the files, please click on the following link for additional files. These files are not required for most installations. Make sure you have closed out of the RA Illustration system before proceeding to Step 1. Click on the Hyperlink "Download the latest update". You will be prompted with a file download box. Click on the Open/Run option. If it doesn't open automatically, click "Open". Click on the new icon on your desktop to run the Illustration program. When propted click "Save File". When finished click "Open" in Firefox's download manager. When asked "Open Executable File?" Click "OK". Click on box with the filename being downloaded (lower left hand side of browser screen. If you see a security message saying file is not downloaded very often click on the down arrow and select "keep". Calculate™ combines actuarial expertise with the latest in database technology to quickly and easily calculate common actuarial problems. The goal is to provide a calculator tool that is easy to access and use, presented using terminology common to actuaries, and documented to avoid a “Black Box” system. 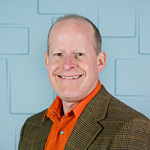 Dave graduated from the University of Northern Iowa in 1986 with a Bachelor’s Education degree in Secondary Mathematics. In 1990, he became a member of the American Academy of Actuaries and in 1995, an FSA. He started SALT Solutions in 1995 after working for several insurance companies in the Des Moines area. Since then, Dave has specialized in actuarial consulting, using database technology to solve problems for clients. Dave has also been an adjunct instructor at Drake University and currently coaches actuaries on passing exams. Ben designs customized solutions, based on customer needs and available technology, and authors actuarial programs. Tong reviews calculations performed in the system to ensure calculation precision and often creates an independent calculation tool to validate results. Terence works with actuarial clients to implement solutions and often works onsite with clients to ensure successful implementation. Jia Bin performs technical calculations for clients. © 2014 SALT Solutions. All rights reserved.